How do men react to diagnosis of male infertility and how, if at all, are all their lives affected by it? Male infertility is commonplace yet the male experience of it has been woefully neglected. Male Infertility - Men Talking explores these issues by gathering together men's stories and seeing what common strands, if any, exist between them. 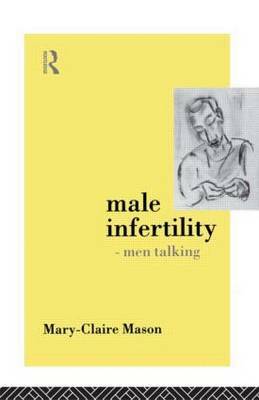 Mary-Claire Mason explores the past and present medical management of male infertility as this forms an essential backdrop to the men's stories but the main emphasis is on how men's lives are affected. In the first half of this book the discovery of sperm and the man's role in reproduction is considered together with a review of how the past affects the present medical management of male infertility and the problems that bedevil it. The male voice predominates in the second painful events and relationships with families and friends, their feeling of isolation, their medical experiences, the importance of biological fatherhood, and their hopes for the future.